BREAKING NEWS! THE GATHERING IS MOVING OUR DOWNTOWN MEAL SITE. A big move is in store for The Gathering this year. 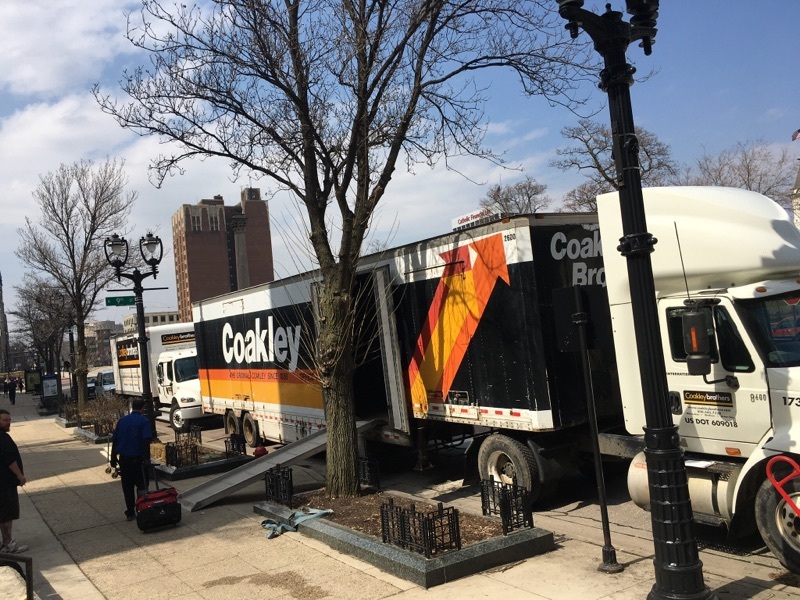 We will be moving our downtown programs from St. James Episcopal Church on 8th & Wisconsin to St. Ben’s Community Meal Site at 9th & State. Target time for the move is mid-to late March of this year. This is not a merger with St. Ben’s; just a change of location and of landlord. 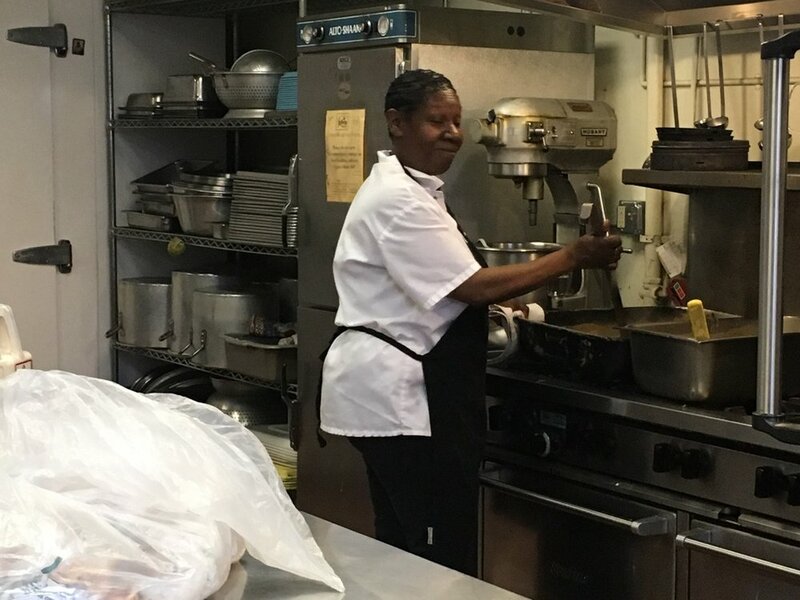 The Gathering will continue to cook and serve breakfast Monday through Friday and Saturday lunch at the same times and in the same way. 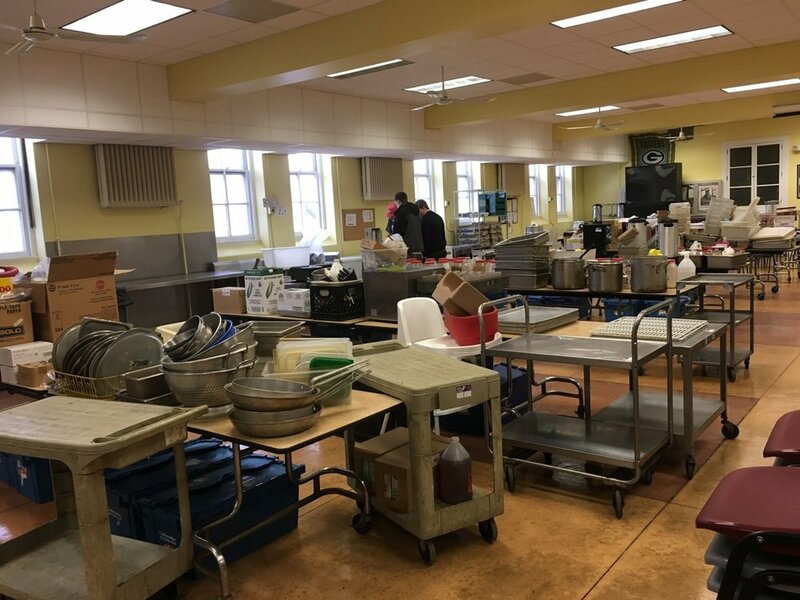 We are currently working with St. Ben’s on storage and additional kitchen space and will soon begin discussing the BIG 3 – policies, procedures and programming. The impetus behind this move is the potential sale of the St. James’ building. Because we did not know whether or not The Gathering would be allowed to continue in that space once the building sold, we made the decision to seek a new location and to proceed with the move in our own time. 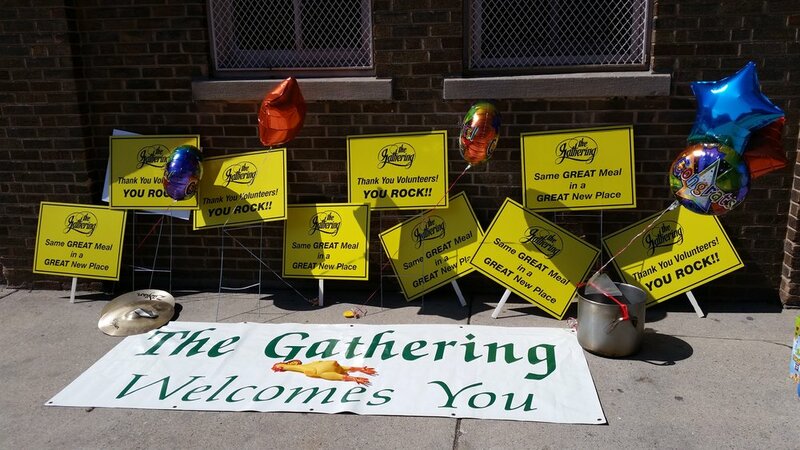 Both St. Ben’s and The Gathering come from faith-based perspectives and focus on providing meals to those in need with respect and dignity. Hospitality is the backbone of both of our programs and we serve many of the same guests. 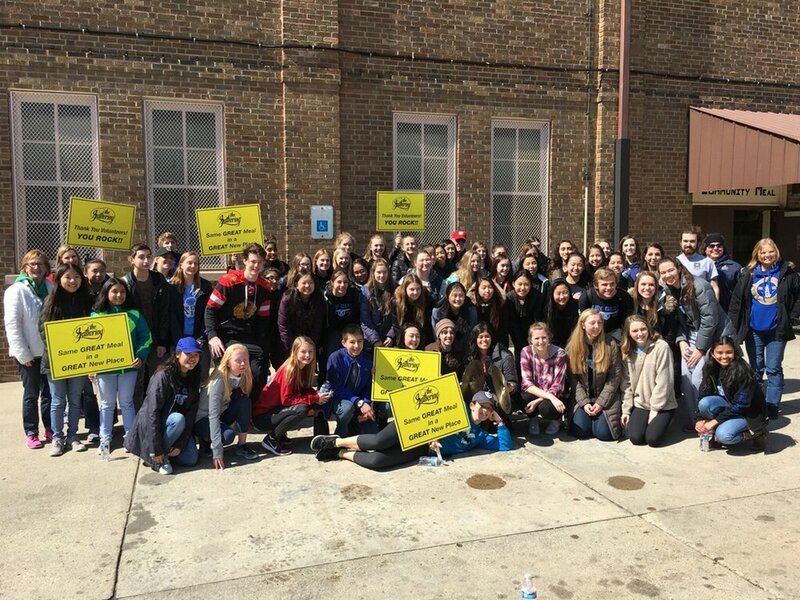 As you may know The Gathering began at St. James Episcopal Church in 1982 as a ministry of the Episcopal Diocese of Milwaukee with a Saturday lunch and Monday through Friday breakfast, primarily to complement the Sunday through Friday dinner served at St. Ben’s. During these thirty-five years, hundreds of thousands of God’s people, both guests and volunteers, have walked through those doors seeking food and warmth and a human bond and have walked out satisfied. It is with great sadness that we leave that space; yet we are filled with joy for the good work accomplished there. Please Note: The move has no direct impact on our other three meal locations or office location. We anticipate the physical move, renovation, and equipment purchases to cost $50,000. To accomplish this move without impacting our day to day operations, we are conducting a Capital Campaign to cover those costs. That’s where you come in. 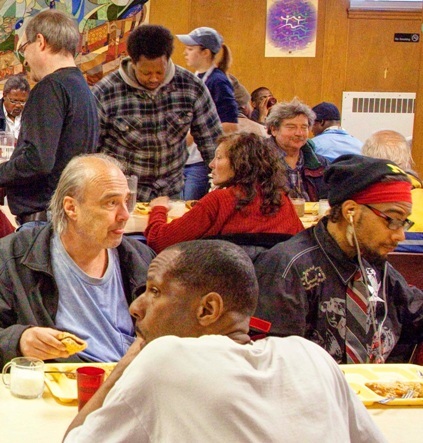 By contributing to this Capital Campaign you will help continue to provide Milwaukee’s hungry and homeless a hot breakfast and Saturday lunch for as long as the need exists. You can give online by clicking here, by mailing a check to The Gathering Capital Campaign, 804 E. Juneau Avenue, Milwaukee, WI 53202, or by calling our office at 414-272-4122. If you have questions please call Ginny Schrag, Executive Director, at 414-272-4122 or email vrschrag@thegatheringwis.org.